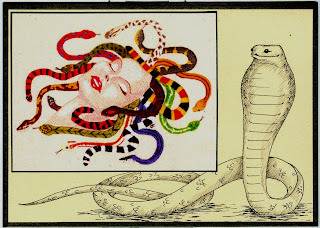 Hello again everyone, another week has flown by! 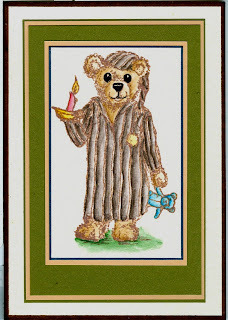 this week we are on N, and I've had to cheat a bit here, this is my Nightime bear, made using one of my stamps. This week Fifi has done a lovely Moo, featuring a Mouse. 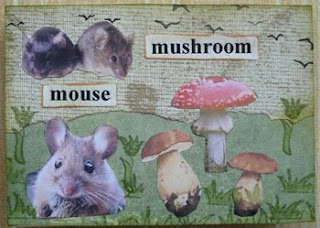 And Lesley has done another gorgeous Nature ATC, with Mushrooms and Mice. 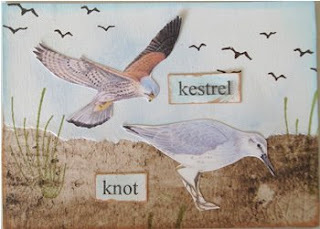 Morning all, nearly forgot what day it was today! 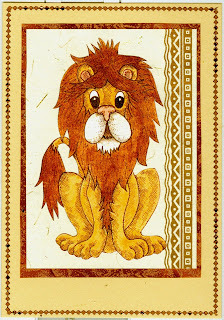 Anyway here we go, this week we are on L and I have done an L is for lion card, again using one of my own drawings. 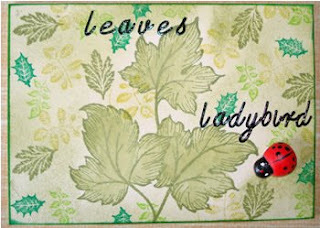 And Lesley's nature ATC this week features Leaves and a Ladybird, two more fab Ls. Another week has flown by...........soon be Christmas at this rate! 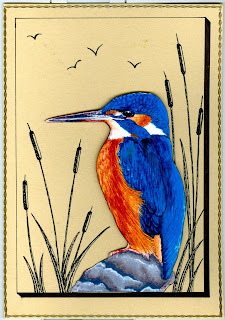 Anyway, we are now up to K, so here is my K a card featuring a kingfisher that I painted a few years ago. 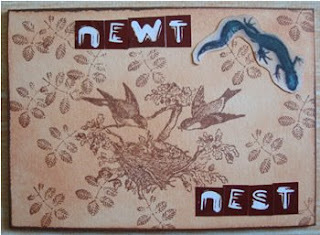 And Fifi has used one of my stamps again to make her lovely kitty fat book page.